Just a reminder that the National Park Service is holding a public scoping meeting on the Anacostia Park Management Plan / Environmental Assessment on Wednesday, March 27, 2013, from 5:00 PM to 7:00 PM at the Smithsonian’s Anacostia Community Museum, located at 1901 Fort Place, SE, Washington, D.C. I encourage you to get involved with the planning process and submit your ideas and thoughts for a vibrant park. You can attend the upcoming scoping meeting or other meetings throughout the process, and add your voice to the planning for Anacostia Park. Information will be provided about the current status of this effort, and park staff will be available to answer your questions. The public is invited to visit at any point during the scheduled time to review materials and provide comments. The museum welcomes the public to view the exhibition, Reclaiming the Edge: Urban Waterways and Civic Engagement, which explores the history, public use, and attitudes toward the Anacostia River and its watershed. For more information on the exhibition and the museum, please visit the museum’s website at www.Anacostia.si.edu. The park is inviting you to comment on potential issues and concerns that should be considered during the planning process. Comments can be provided at the meeting, or on-line, the preferred method is (http://parkplanning.nps.gov/anacostiagmp). Please provide comments by April 27, 2013. 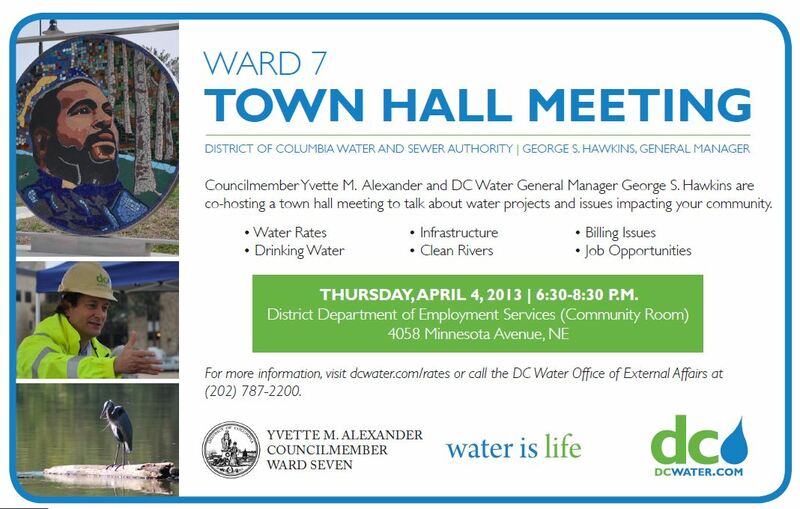 Reminder – Mayor Gray to visit Deanwood Citizien Association Meeting tonight! Notes: General Body Meetings Fourth Monday of the Month, 6:30 p.m. (DOES NOT MEET IN AUGUST AND DECEMBER.) The purpose of this meeting is for the Deanwood Citizens Association Executive Officers to update the Association’s membership and the Deanwood community on recent happenings; hear from District leaders about the progress of the Association’s priorities; hear residents’ interests; and fellowship with neighbors. Residents and other stakeholders are strongly encouraged to attend. 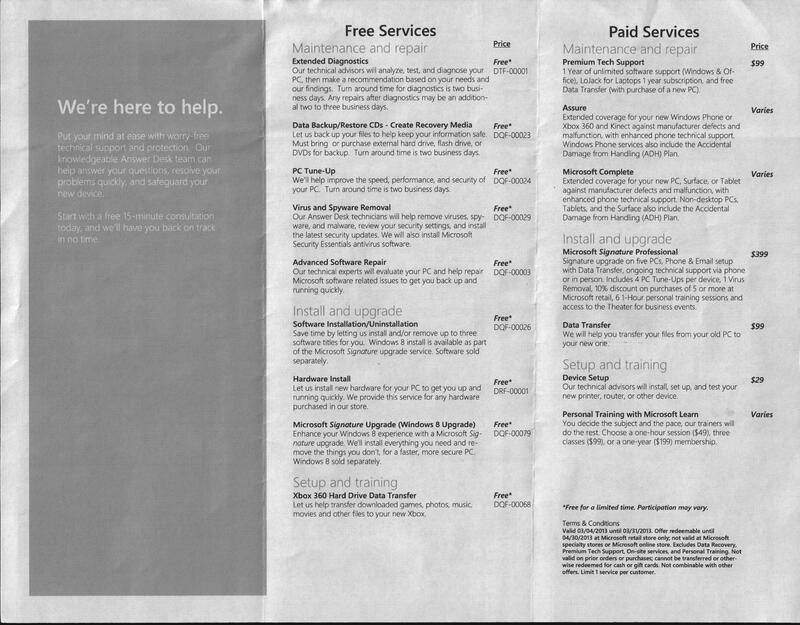 Until March 31st, the Microsoft Store at Pentagon City is offering free computer maintenance and repair service. Please see attached brochure for more details. This is a community meeting to discuss how parents and community members can support our schools moving forward. Please share this invitation with others who want the best for our children. Reminder – AT-LARGE CITY COUNCIL DEMOCRATIC CANDIDATES FORUM Today!